Datasets originating from social networks are valuable to many fields such as sociology and psychology. But the supports from technical perspective are far from enough, and specific approaches are urgently in need. 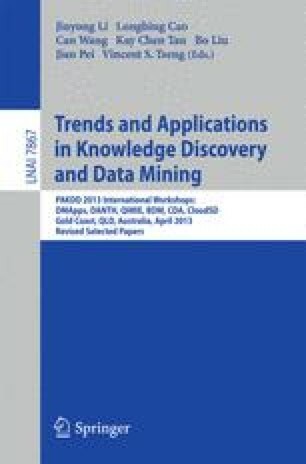 This paper applies data mining to psychology area for detecting depressed users in social network services. Firstly, a sentiment analysis method is proposed utilizing vocabulary and man-made rules to calculate the depression inclination of each micro-blog. Secondly, a depression detection model is constructed based on the proposed method and 10 features of depressed users derived from psychological research. Then 180 users and 3 kinds of classifiers are used to verify the model, whose precisions are all around 80%. Also, the significance of each feature is analyzed. Lastly, an application is developed within the proposed model for mental health monitoring online. This study is supported by some psychologists, and facilitates them in data-centric aspect in turn.